Keri Russell has transformed again in AKA 70’s babe as she wears another retro-style wig on the set of Fx’s spy drama The Americans. We’ve already seen her in a vamp’s vixen shoes, mind the geeky girl plus the eyeglasses as she play Russian KGB spy Elizabeth James. 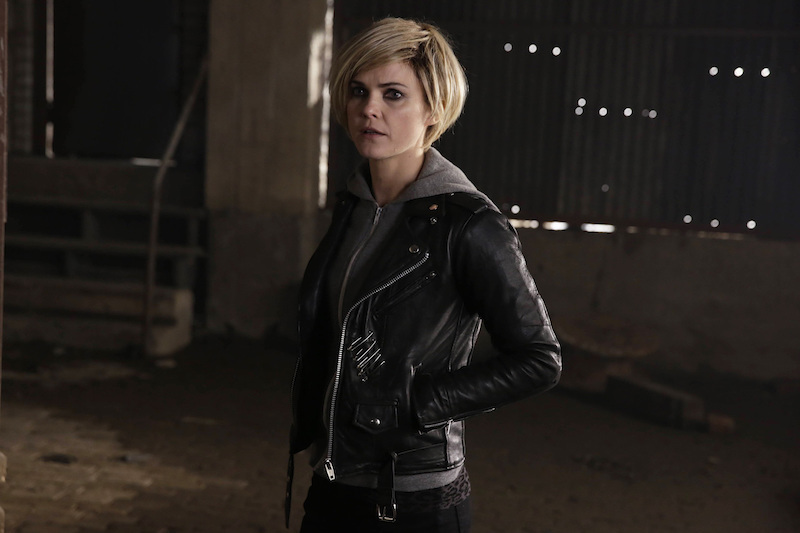 Once again Keri Russell made an unrecognizable comeback (thanks to the hair) on the New York set of the action-packed Cold War crime drama, this time wearing a Seventies-style shag. The Felicity star covered up her own long locks with a less than flattering hair piece as she got to work in New York for the shoot of the 3rd season of the spy drama series. Keri’s blonde bowl-like crop was curled at the ends, giving it a distinct retro vibe. Braving the chilly streets of Brooklyn, Russell breezes up in multiple layers, including a knit top, a brown speckled suit and a padded navy jacket. Wearing minimal make-up, the 37-yeaer-old also revealed her flawless, almost line-free skin. “I can still override her in her two-ness, but she does have an opinion”. Not seen on set was Keri’s co-star, the 40-year-old Welshman, who was forced to deny earlier having a romantic relationship with her to his own mother. The Austenland actress will reprise her role as KGB agent Elizabeth Jennings (aka Nadezhda) on the 13-episode third season of The Americans, which premieres January on FX.